I'd like to express our appreciation from the CCG to patients for using services wisely during the cyber-attack and to all who worked so hard to protect our systems then get them up and running promptly. This issue of our bulletin includes information on extended opening hours for GP appointments later this year, Think Pharmacy First, GP online services, a carers and information day and our Local Engagement Board. 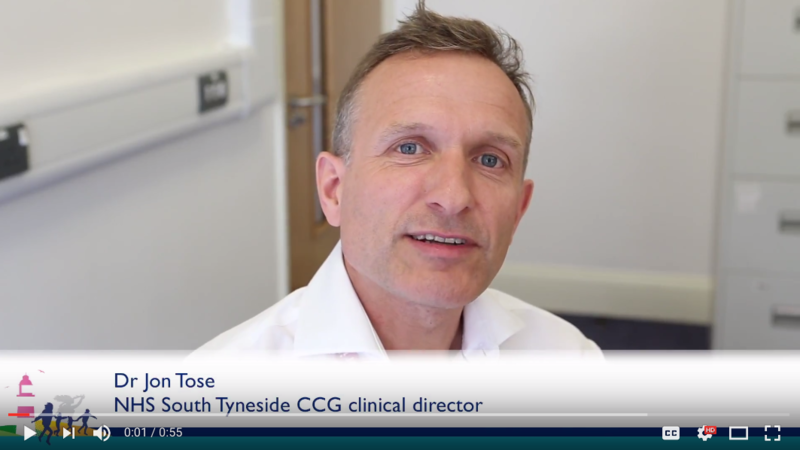 The CCG's clinical director, Dr Jon Tose, discusses the extended opening hours for GP appointments which will be available to all South Tyneside patients later this year. Click here or below to view the video. The four NHS organisations involved are South Tyneside NHS Foundation Trust, City Hospitals Sunderland NHS Foundation Trust, NHS South Tyneside Clinical Commissioning Group and NHS Sunderland Clinical Commissioning Group. Between us we plan, commission and deliver many of the major healthcare services across the area. We’re working together to improve your local NHS services by identifying new ways to deliver safe, high-quality care that will make the best use of public money and meet the needs our population both now and in the future. The picture for the NHS in the north east echoes that of the rest of the country. The quality of care that people receive is generally very good but can vary across the region. Preventable illness is common and the growing demand for healthcare services is putting greater pressure on NHS resources, staff and finances than ever before. A document explaining some of the challenges the NHS is facing and why we need to consider changes has been published on our dedicated website. This does not mean doing less for patients or reducing the quality of care. It means more focus on prevention, finding new ways of working to meet people’s needs and identifying more efficient ways to run our services. Despite the challenges facing our NHS, we strongly believe the people of South Tyneside and Sunderland should be able to have better health than they currently experience. sharing resources and services in our area where patient numbers are low. We are asking local people to share their views on clinical services in South Tyneside and Sunderland to help us identify how they can be improved and how things might be done differently in the future. We recently asked people to share their experiences of local stroke, maternity, women’s healthcare (gynaecology) and children’s healthcare (paediatrics) services. During this time we heard from over 2,000 people. You can read more about what you have told us about current stroke, maternity, women’s healthcare (gynaecology) and children’s healthcare (paediatrics) services on our website. Over the coming months we will have lots of ways that you can get involved and there will be lots of opportunities for you to give your views. You can register for My NHS via our website below or telephone us. We have a dedicated website: www.pathtoexcellence.org.uk. The website will host links to surveys and registration for events once these become available as well as all the documents published as part of the programme. 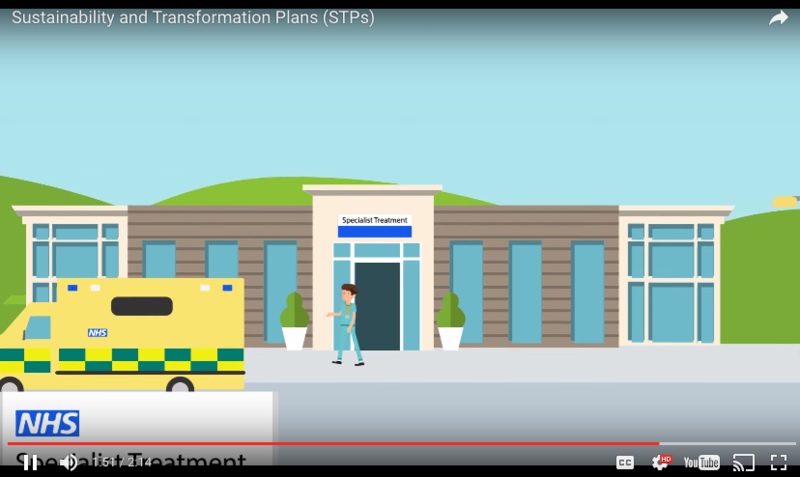 A short animation has been created to describe STP to NHS staff, NHS organisations and the wider public and patients. It clearly and simply explains what these local proposals for health and social care aim to do. The first LEB of the year was held on Thursday 9 March. Please click here to see the report. The June LEB will be part of the carers’ health and information day, more info in the article below, on Wednesday 14 June 2.30-3.30pm at Cleadon Park Primary Care Centre and Library. Support, activities and services for carers will be highlighted at Cleadon Park Library on 14 June. Free refreshments and light lunch will be available as well as free NHS health checks for adults aged 40-74. Talks will take place from social care and health professionals. The event will take place from 11am to 4pm on Wednesday 14 June at Cleadon Park Library and Primary Care Health Centre, Prince Edward Road, South Shields, NE34 8PS. Please book for a health check prior to event on 0191 424 7773. NHS leaders have called on patients to help reduce the pressure on GPs in South Tyneside by visiting pharmacists, for free professional advice on a range of minor health problems under the Think Pharmacy First scheme. The top five reasons for consultations have been for fever, headlice, coughs, threadworm and teething. All pharmacies in South Tyneside offer the scheme and you will be seen as soon as possible without having to make an appointment. Staff will speak to you about your health condition and discuss with you what treatment you might need. Most pharmacies now have a consultation area if you feel you need to discuss things in private. You will be asked questions about your symptoms, including which medicines you are taking and information about your illness. If you need it, the pharmacist will be able to provide the right medicine for you, as well as telling you the best way to take the medicine and give you any extra advice you need to help with your illness. For example, if your child has a fever the pharmacist will be able to give you advice as well as give you paracetamol if it is needed. 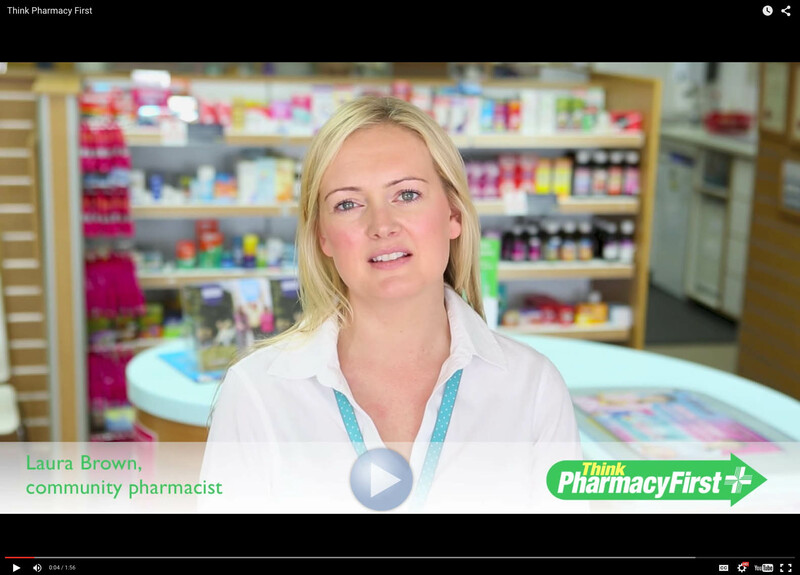 If you don’t normally pay for your medicines, then you don’t need to pay with Think Pharmacy First – you can get them free and over the counter from your local pharmacist without the need to see your GP. Make sure you ask for a ‘minor illness consultation’. The CCG will hold its next 'Talk to us' sessions at Mortimer Community College later this month, aimed at helping young people to understand general practice. The CCG has agreed to fund this work so that it can be rolled out in every school in South Tyneside, which gives us the opportunity to engage with all our young people. The sessions include information to give pupils confidence regarding their right to confidentiality, while also explaining when GPs may have to share information. Dr Sharmila Parks said: "The lesson includes a section on 'body maps', where the students think about conditions that may present in general practice. This gives us an opportunity to talk to students about both physical and mental health, as well as pass on some important healthcare messages. GP online services are available at each practice in South Tyneside to help people better manage their health. Patients who require repeat prescriptions can request these from the comfort of their own home, rather than venturing out in the cold or wet weather to drop their request off at the practice. Patients will also be able to review which medication they should be taking, the dosage and when it should be taken. 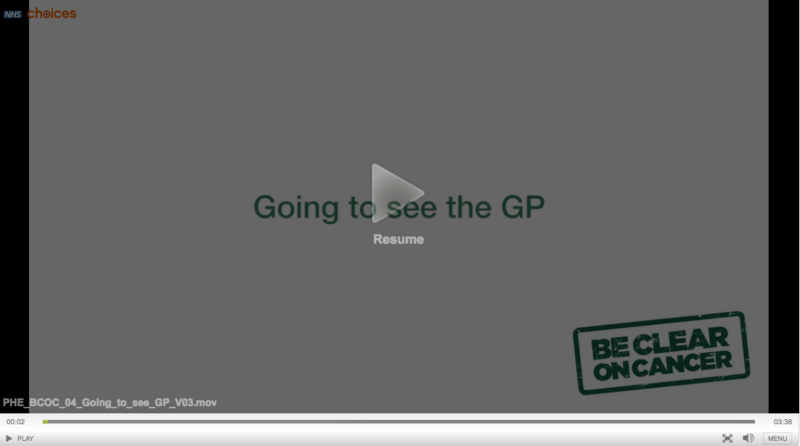 If patients want to register for GP online services they need to fill out a form at the practice and show two forms of ID, one of which should have a photo (such as a UK passport or driving licence) and the other should have their address (such as a council tax bill). If you don’t have photo ID or anything with your address on it, it doesn’t mean you will not be able to use online services, your practice staff may be able to help. 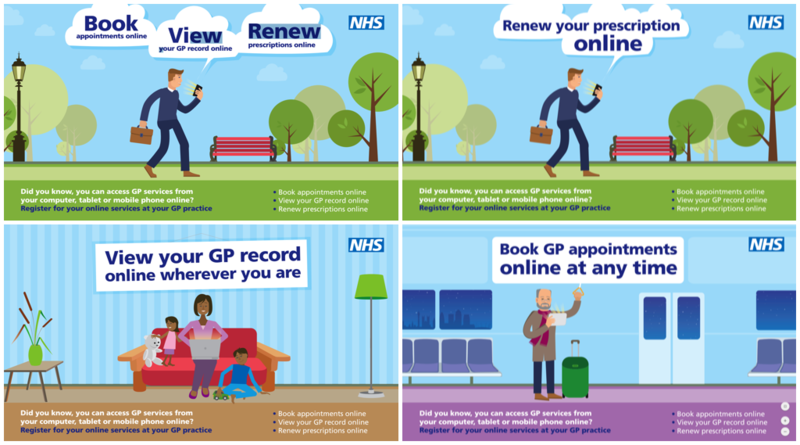 To register for GP online services, drop in and ask at your practice, or to find out more visit the NHS Choices website at www.nhs.uk/GPonlineservices. The next Be Clear On Cancer campaign, ‘Respiratory Symptoms’, will run until the end of August. The campaign previously ran in July 2016. It focuses on the respiratory symptoms of breathlessness during everyday activities and a persistent cough, to encourage people with these symptoms to see their doctor. The campaign looks at the symptoms as possible indicators of lung cancer, along with cardiovascular disease (CVD) and chronic obstructive pulmonary disease (COPD). We are always keen to include local case studies, so if any partners have contacts or patients they think may be appropriate, please do get in touch and email lee.hogan@nhs.net. The page was developed with colleagues in Manchester but also by the national mental health team including the national clinical director for mental health and the associated clinical director for CAHMS.